This strangely named church has its origins at least as far back as the 12th century when it was under the jurisdiction of the Prior and Convent of Canterbury. The name St Vedast is in itself unusual – St Vedast (known as St Vaast elsewhere) is said to have been the Bishop of Arras in northern France during the late fifth and early sixth centuries. 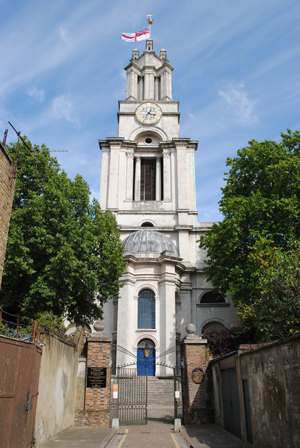 How his name came to be associated with a church in London remains a matter of speculation but one plausible explanation is that the church was founded in the twelfth century by a small group of French merchants who had emigrated from Arras. The ‘alias Foster’ part of the name is perhaps easier to explain although it has led to considerable confusion over the years. While some have in the past suggested the name refers to a different obscure saint – that is, the church is dedicated to St Vedast and St Foster – Foster is actually just an corrupted Anglicised version of Vedast. But back to the church’s history. The medieval building was apparently replaced at the beginning of the sixteenth century and in the early 1600s this was enlarged and “beautified”. 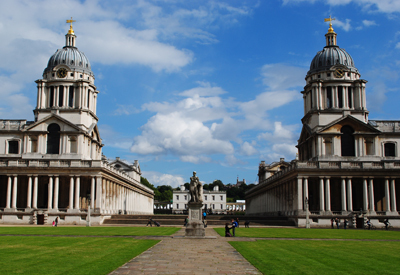 It escaped total destruction during the Great Fire of London but was badly enough damaged to require restoration and this was carried out, albeit not very well, so that in the late 1600s, Sir Christopher Wren was asked to rebuild it. 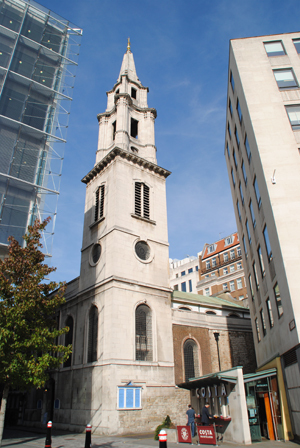 Given the demands of Wren’s time elsewhere, it’s not known if he personally designed the resulting church (the spire is possibly the work of Nicholas Hawksmoor), but the church was rebuilt and stood until 194o when the body of the building was ruined in the Blitz. The spire, however, survived and the restoration of the remainder of the church was completed in 1962. 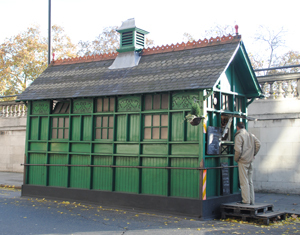 It was also after World War II that the city parishes were reorganised and St Vedast-alias-Foster was united with three other former parishes – St Alban Wood Street, St Anne & St Agnes, St Lawrence Jewry, St Mary Aldermanbury, St Michael-le-Querne, St Matthew Friday Street, St Peter Chepe, St Olave Silver Street, St Michael Wood Street, St Mary Staining, St Mary Magdalene Milk Street, St John Zachary, and St Michael Bassishaw, of which only the buildings of St Lawrence Jewry and St Anne and St Agnes remain along with the tower of St Alban Wood Street). Although the bulk of the building of St Vedast-alias-Foster is modern, the church does retain its seventeenth century Great West Doors and the font also comes from that century, having been designed by Wren and carved by Grinling Gibbons for the church of St Anne and St Agnes. The reredos which stands behind the altar, meanwhile, is inscribed with the Ten Commandments, the Lord’s Prayer and The Creed, and originally stood in St Christopher-le-Stock Parish Church in Threadneedle Street. Other features to come from other churches include the seventeenth century pulpit (All Hallows, Bread Street) and swordrest (St Anne and St Agnes). The church’s Fountain Courtyard features part of a Roman floor found under St Matthew Friday Street and a stone (actually baked brick) upon which is inscribed cuneiform writing. The latter, which comes from a Zigurrat in modern Iraq built in the 9th century BC, was presented to Canon Mortlock, rector of the church, marking his work with novelist Agatha Christie and her husband, archaeologist Sir Max Mallowan and was found during his 1950-65 dig on the site. The lump of stone bears the name of Shalmaneser who reigned from 858 to 834 BC. Famous figures associated with the church include John Browne, sergeant painter to King Henry VIII, Sir Thomas More, Lord Chancellor of King Henry VIII who was born in nearby Milk Street, and Thomas Rotherham, rector of the church from from 1463-48 and later Archbishop of York and Lord Chancellor of King Edward IV. WHERE: 4 Foster Lane (nearest Tube station is St Paul’s). WHEN: 8am to 5.30pm weekdays/11am to 4pm Saturday (Mass is held between 12.15 and 12.45 weekdays and a sung Eucharist at 11am on Sundays) ; COST: Free but a donation of at least £1 per head is asked; WEBSITE: www.vedast.org.uk. 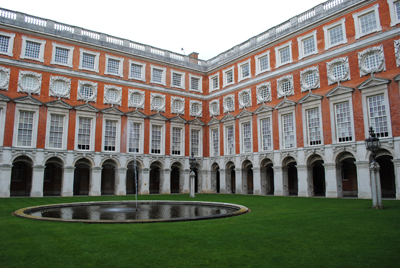 Hampton Court Palace in London’s outer south-west is known to many as the palace of Henry VIII. 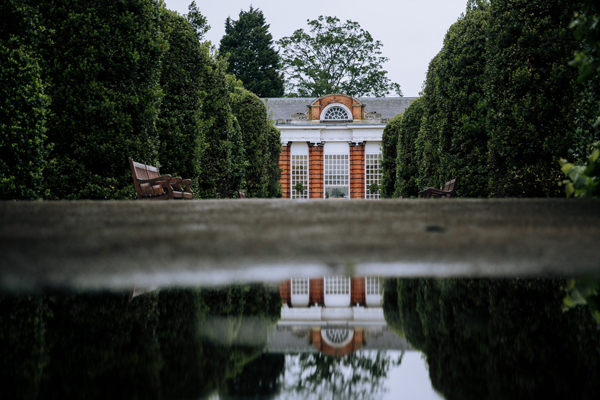 Yet a considerable part of the complex of buildings we see today was also created during the reign of some time joint rulers William III and Mary II. 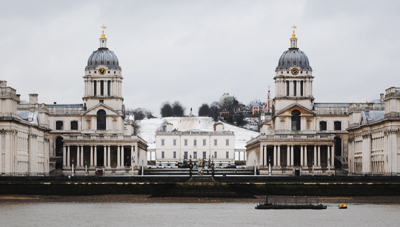 It was to Christopher Wren – assisted by the able Nicholas Hawksmoor – that the rulers turned when looking to update the Royal Apartments. Wren’s designs for a domed baroque palace to rival Versailles in France were apparently so ambitious that they were only half-built (and built in haste – two workmen died and another 11 were injured when the main wall collapsed in 1689). The death of the queen in 1694 also meant work on the palace stopped – it was resumed in 1697 (under control of Wren’s deputy William Talman who had offered a lower price than Wren) but again stalled after the death of the king in 1702. Wren’s imprint is on the palace we see today is nonetheless considerable and includes the Baroque-style South and East Front (the size of the formal gardens which radiate out from the latter give a glimpse into the grand plans Wren had for the palace), Fountain Court which replaced the Tudor Cloister Court and around which were located new state apartments for both the king and queen, and the Orangery. Among those who worked on the interiors of were the famous woodcarver Grinling Gibbons and painter Antonio Verrio. While St Paul’s Cathedral is certainly his best-known work, Sir Christopher Wren designed 50 other churches in London in the wake of the Great Fire of 1666. 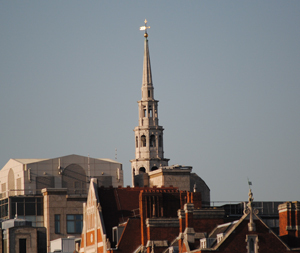 Rather than look at each individually, we’ll just highlight a couple with the first being the “wedding cake” church, St Bride’s. 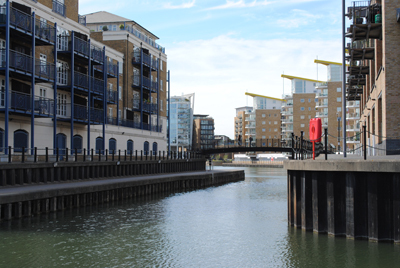 The site of St Bride’s has been home to at least eight churches, the first of which is believed to have been founded in the Dark Ages. Dedicated to the sixth century Irish nun St Bride – or St Bridget, the church – thanks to its location on Fleet Street – has had a long association with printers and later newspapers and journalists and, despite the fact most news organisations have long since departed the area, is still regarded as “the journalist’s church”. 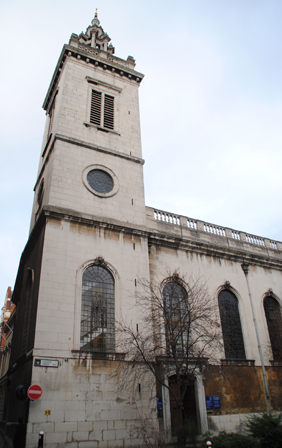 The medieval St Bride’s was completely consumed in the Great Fire but a new church was opened in 1675 after works were carried out to Wren’s design (among his assistants on the job was Nicholas Hawksmoor who became a celebrated architect in his own right). 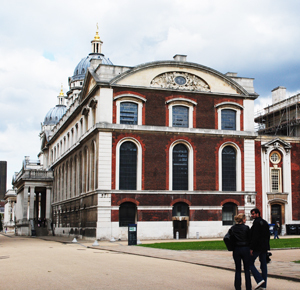 Despite the return of worshippers, however, the building remained unfinished and Wren was approached in the early 1680s about constructing the steeple. 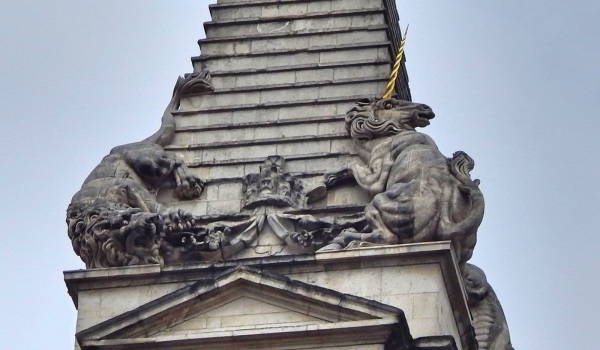 This was completed in 1703 and has become a London landmark with many believing its tiered design was the basis for the modern “wedding cake” design. 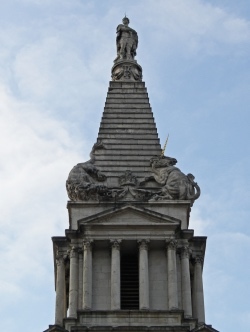 As well as its association with the printing industry and the press, these days St Bride’s is also notable for its US connections – the first American child of English descent, Virginia Dare, was the daughter of two former St Bride’s parishioners (there is a bust of Virgina above the font). The parents of Edward Winslow, three-time Governor of Plymouth in Massachusetts, were also married in St Bride’s. The crypt contains remains dating back to Roman times. WHERE: Fleet Street (nearest tube St Paul’s); WHEN: 8am to 6pm Monday to Friday, 11am to 3pm Saturday, 10am to 1pm and 5pm to 7.30pm Sunday; COST: Entry is free but guided tours are available on Tuesday afternoons at 3pm for £5 a person; WEBSITE: www.stbrides.com.